SOUND FORGE Audio Studio 12 allows you to play and edit audio files recorded with your linear PCM recorder, imported from an audio CD, downloaded from a website or copied from your computer. You can also burn an audio CD and enjoy a variety of features available in SOUND FORGE Audio Studio 12. One of the above operating systems should be pre-installed by default. Any operating system other than those indicated above—including upgraded operating systems and multi-boot environments—are not supported. Sound Forge is a trademark or registered trademark of MAGIX Software GmbH in the United States and other countries. For Windows 10: Click the "Type here to search" bar at the bottom of the screen and type "Control Panel". For Windows 8.1: Click the "Search icon" on the start menu and enter "Control panel". For Windows 7: Open the "Control Panel" from start menu. Under all control panel items, click "System", then refer to "System type". Double-click the downloaded file below and follow the on-screen instructions. 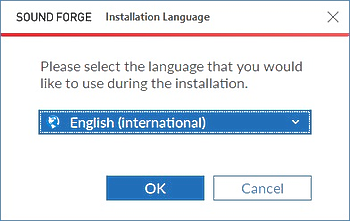 When the "SOUND FORGE Installation Language" window appears, select your desired language and click [OK]. 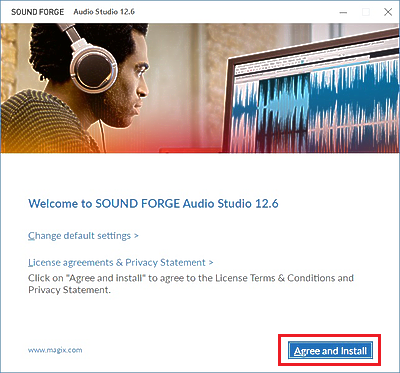 When the "Welcome to SOUND FORGE Audio Studio 12.6" window appears, read the statements by clicking [Change default settings] and [License agreements & Privacy Statement], then click [Agree and Install]. 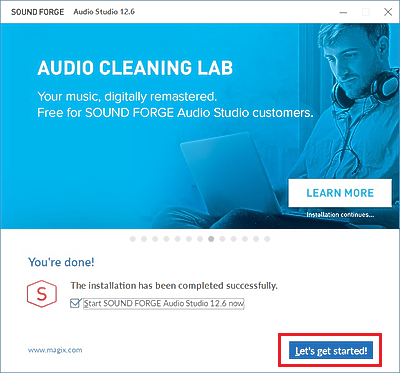 The "Installing SOUND FORGE Audio Studio 12.6" window appears and the installation starts. When the "You're done!" 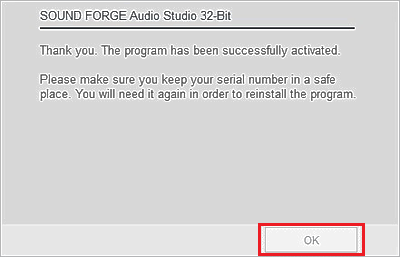 window appears, select the [Start SOUND FORGE Audio Studio 12.6 now] check box and click [Let's get started!]. When the "Welcome!" window appears, click [Activate with serial number]. 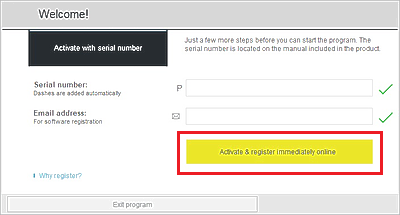 Enter the serial number and your email address, then click [Activate & register immediately online]. 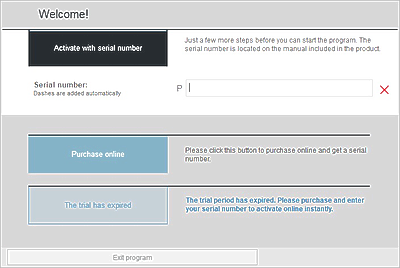 The serial number is located on the manual included in the product. 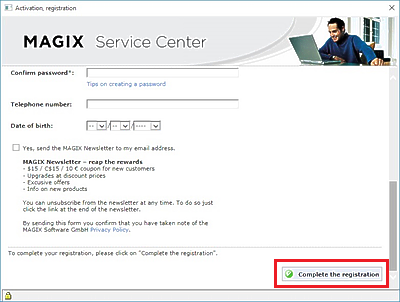 When the online product registration window appears, enter your registration information, then click [Complete the registration]. When the registration is completed and "The program has been successfully activated." appears, click [OK]. SOUND FORGE Audio Studio 12.6 starts.